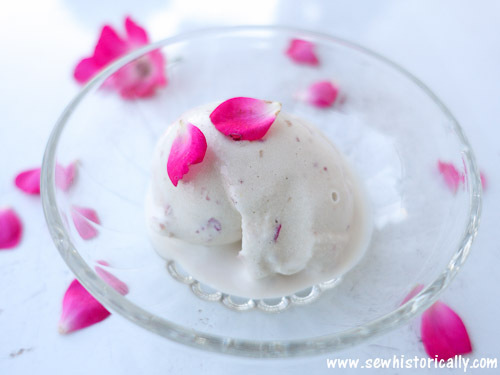 Homemade rose petal ice cream is so delicious! 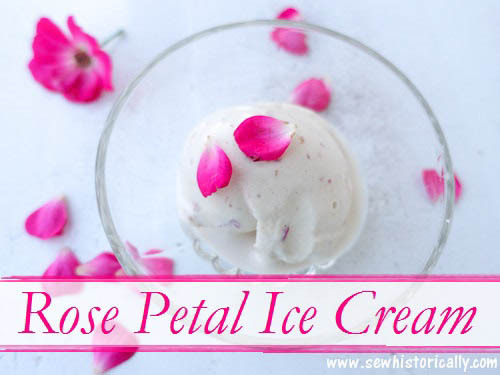 This creamy rose ice cream is dairy-free and flavored with fresh, organic rose petals. 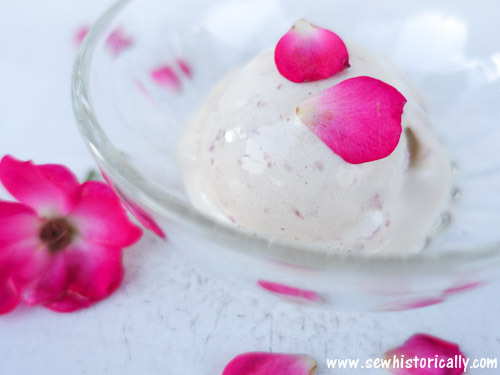 Rose petal ice cream is such a luscious, decadent dessert for hot summer days! Whisk together yolks, sugar and some of the soy milk. Bring remaining soy milk to a boil. Stir in the egg yolk mixture and cook for 1 minute while constantly stirring. 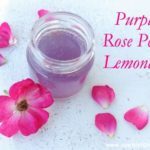 Let the custard cool down and stir in the homemade raw rose petal jam. If you want, you can dye the rose petal ice cream pink with raspberry puree: Strain fresh raspberries through a fine mesh sieve. 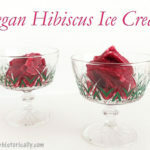 Stir into the rose ice cream one tablespoon raspberry puree at a time till you like the color. 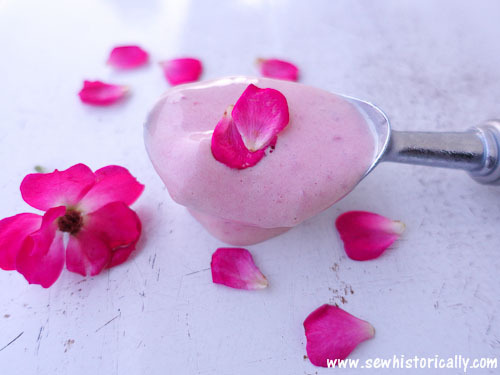 Freeze the rose petal ice cream in an ice cream maker or put it into the freezer for some hours. You always have the most fascinating recipes. Thanks for your lovely comment, Carol! What a wonderful sounding ice cream! Thanks for sharing at the What’s for Dinner link up! Thanks, Helen! It’s delicious and so easy to make! What a unique recipe. It looks tasty. Thanks for sharing at Snickerdoodle. Pinning. This sounds so fresh and lovely!! Love it! Two of my favourites – ice cream and flowers! Thanks for sharing. Thanks for stopping by, Hilda! What a very special summer time treat! Hope you have a fantastic weekend and thanks so much for sharing your awesome post with us here at Full Plate Thursday. We hope to see you again real soon. Rose petal is one of my favouite flavours! And you incorporated it into ice cream? Dreams do come true! Thanks for sharing at Fiesta Friday, Lina! 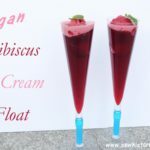 Would be great if you could link the recipe to the FF post ! I’m in love with this recipe! It looks so pretty and the taste should be amazing 😀 Thanks for bringing this fabulous dessert to the party. Happy Fiesta!